Sometimes it’s fun to put down the paintbrush and create art in an entirely different way! 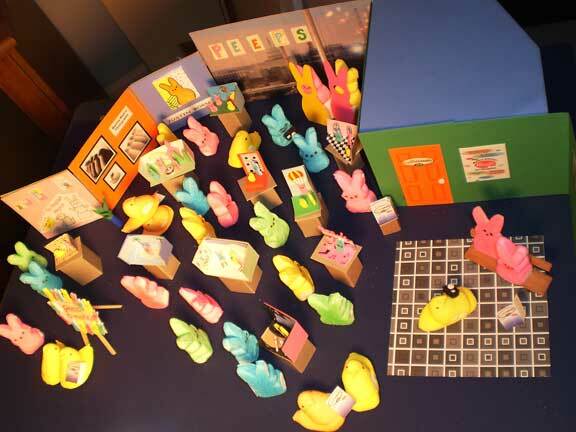 Every year the Washington Post holds their annual PEEPS diorama contest and I can’t resist the quirky fun of such a competition. 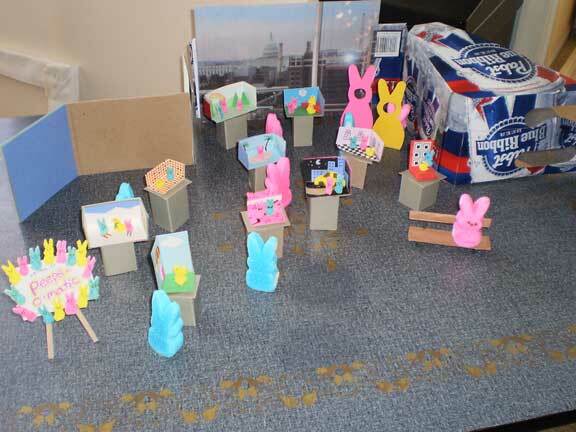 This year, I modeled my diorama after Artomatic’s PEEPS display. 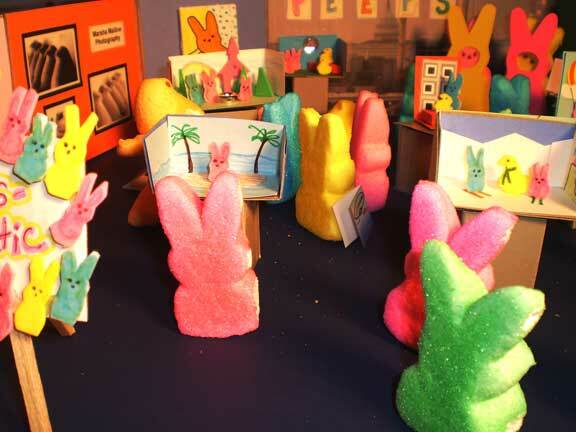 It’s where they show all the finalists of the PEEPS contest so Artomatic attendees can see them up close and in person! 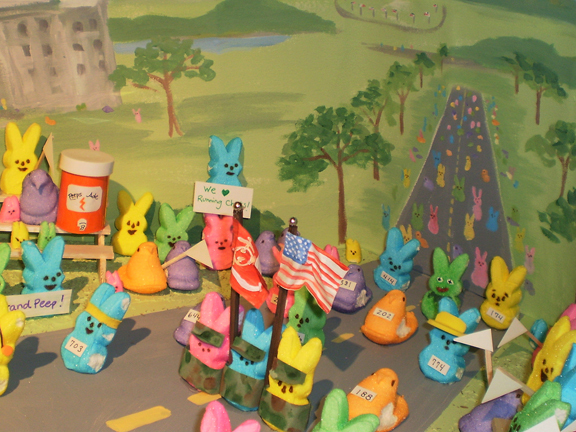 So, in essence, I did a diorama of PEEPS looking at other PEEPS dioramas!.. pretty cute concept I thought, but sadly I did not make it to the finals again this year. 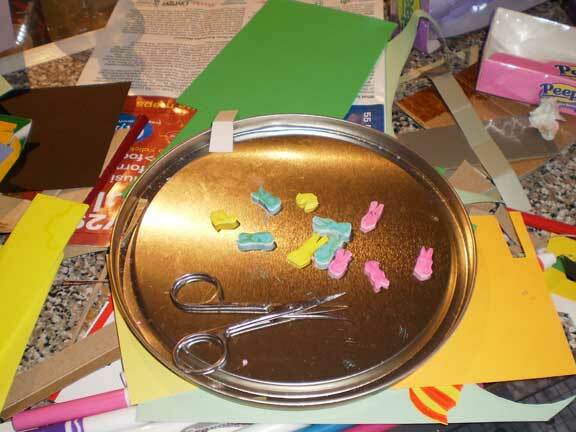 So, what does it take to MAKE a PEEPS diorama? what DOESN’T it take? 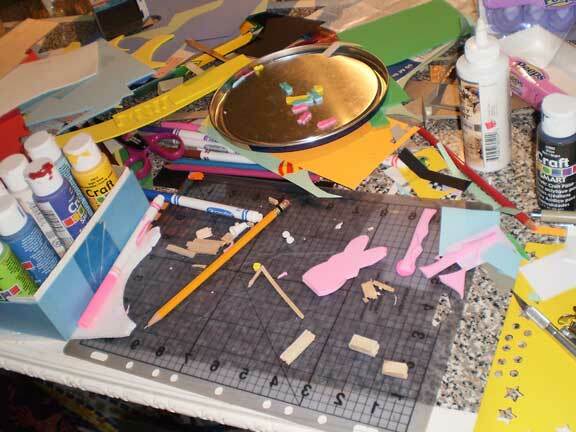 Glue, cardboard, fabric, balsa wood, old boxes, markers, marshmallows, foam core, wire, tape, manicure scissors for cutting out small shapes you name it! Overall, the project took a weekend to create. 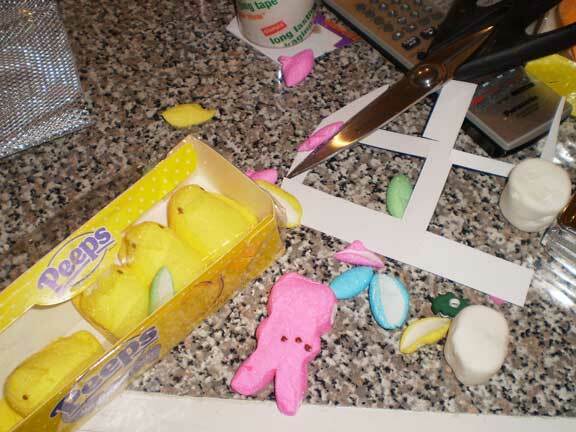 The bottom of each PEEP had to be trimmed so that they would stand up. The sticky exposed marshmallow helped a lot with that too! 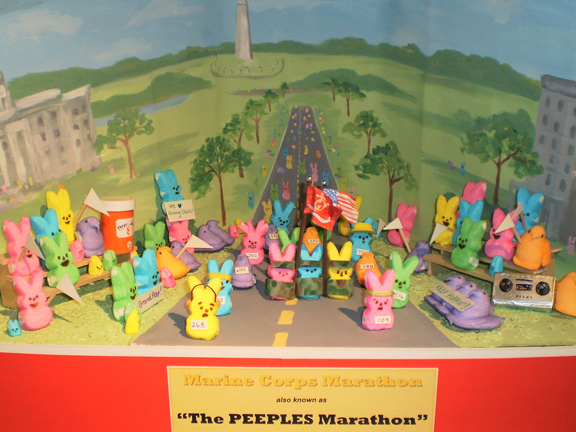 Last year, my entry was the Marine Corps Marathon, otherwise known as the PEEPles’ Marathon. I thought that would score extra points with the judges, but I still fell short of glory.